Vaping has become exceptionally popular in recent years. This has led many outsiders to the community to ask, “Why do people vape?” or “What is the point of vaping?” Everyone is different and people have their own reasons for wanting to vape. One thing is certainly clear: the trend is not going away any time soon. The BBC reports that the number of vapers around the world has increased to 35 million users in 2016 compared to only seven million users in 2011. However, here are some of the most common explanations people have given for why they enjoy vaping as a hobby. While there are certainly dozens of reasons for why people decide to pick up vaping, below we’ve listed the most common reasons. The biggest reason why you see more people vaping is that it is an extremely relaxing activity. Most of the time when people vape, they are simply hanging out with friends or in the comfort of their own home unwinding. The process of inhaling and exhaling all kinds of differently flavored clouds puts people in a relaxed mindset. In fact, many of the flavors utilized, such as menthol and vanilla, are designed to be soothing. Some people have a beer to relax while others choose to vape. While plenty of people like to vape in the comfort of their own homes, a lot of people like going out into the community to vape. Similarly to other hobbies, vaping has turned into a lifestyle. Groups of friends will head over to a vape shop to try out new flavors and commiserate together. These vape shops will even host events to entice people to visit. You can even find all kinds of products, from hats to t-shirts, to show off how much you love vaping. You may even make new friends through vaping via online forums. Many newcomers to vaping are surprised to hear that a competitive sport has arisen out of the hobby. Many vapers will gather together to see who can blow the thickest, biggest plume of vapor from their device. The best way to achieve this goal is to find a vape mod that has low resistance coils. You will also need a specialized e-liquid. Cloud chasing has become extremely popular all over the United States and you can see where events are taking place near you. Some people prefer vaping over similar activities because they have a greater amount of control over what they smoke. There are numerous types of devices on the market that can be customized to your liking. Additionally, you can find e-liquids in excellent flavors that come with zero percent nicotine. No matter what your preference is, you will be able to find something that matches your needs and wants. Numerous flavors are available, so regardless of what you like, there will be something for you. Candy flavors are incredibly popular for people with a sweet tooth. You can enjoy bolder e-liquids inspired from coffees, espressos, and lattes as well. Additionally, whether you enjoy sipping on an appletini or a rum and cola, there are vape flavors inspired from alcoholic beverages, too. With so many options, there is always something new to try, so you will never become bored. Now that you know why vaping is so popular, you may feel enticed to try it out for yourself. VaporFi makes it easy to get started, especially when you order one of our starter kits. Many of these kits come bundled with various accessories and e-juices to get you started on the right path. When you need any help finding the products you need with VaporFi, do not hesitate to reach out to us with any questions. BOTM: Everything’s Merry & Bright with Waffles N' Cream Vape Juice! Exactly How Do Vape Pens Work? How Much Does an Electronic Cigarette Cost? 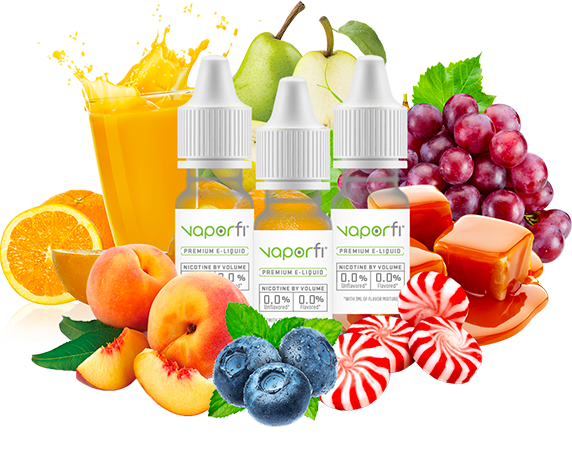 Without further adieu, we’d like to welcome you all to the new VaporFi!